Consumer demand for e-cigarettes and vapor products are on the rise. In fact, research by Wells Fargo Securities estimates the size of the retail e-vapor market at $2.2 billion with annual growth estimated to be approximately 15%. If you have a convenience store, smoke shop or vapor store, you’ll want to take advantage of this hot growth segment by using the right display solutions for your e-cigarette, e-liquid and vapor supplies. Vapor Supply Stores use unique acrylic displays to showcase their e-cigarettes, e-liquid bottles and vapor pens and other e-vapor supplies for sale. 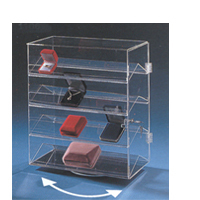 At Discount Shelving & Displays we offer a wide variety of Acrylic Vapor Store Displays for sale*. Our acrylic vapor displays come in many different style holders from multi-slot, multi-tiered, single-slot and curved display stands as well as multi-compartment style acrylic displays. Place acrylic e-cigarette, e-vapor displays on your counter top or display cases to create attractive displays to help maximize your sales. 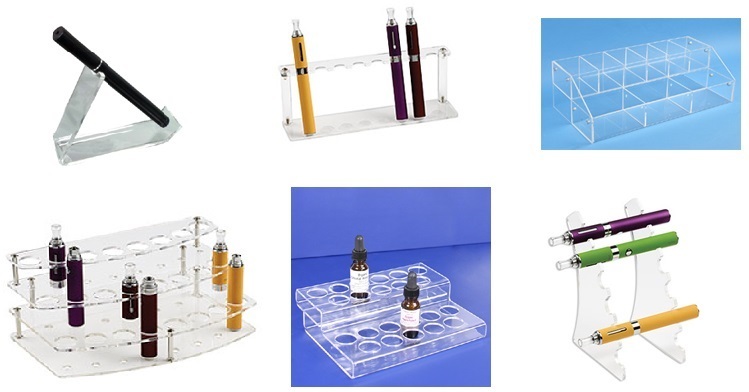 These acrylic displays for e-cigarette and e-vapor products help you keep your products well organized and secure. You can easily change your displays to showcase different e-cigarette, e-liquid bottles, mods and tanks for sale. Also, if you have slatwall, there are acrylic displays made specifically for use on slat panels that are ideal for merchandising your e-cigarette, e-liquid bottles and other vapor supplies. You can shop for Acrylic Displays for Vapor Stores at www.discountshelving.com. *Disclaimer: Discount Shelving, Inc. does not manufacture, produce, sell or promote the use of tobacco, e-cigarette or vapor products of any kind. 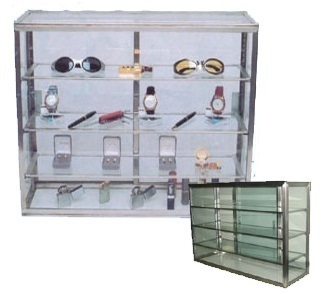 Our acrylic products are used exclusively for display purposes only. Swimming Pool Stores use Metal Gondola Shelving because of its durability and versatility. Our Metal Gondola Shelves are made of heavy duty steel with each Gondola Shelf capable of holding heavy loads (up to 500 pounds of general merchandise) such as swimming pool chemicals, chlorine tablets, pool shock, pool water balancers, pool algaecides, pool clarifiers and more. In addition to displaying swimming pool and spa chemicals, our gondola shelving is perfect for displaying pool equipment and other pool accessories. A huge benefit that Metal Gondola Shelving provides is that it creates an effective traffic flow management system throughout the store that makes use of the entire retail space, and can help maximize sales. One can achieve this by placing the more common items such as: BioGuard®, Aqua Chem®, Pool Time® and other pool chemicals near the end of the shelving unit. Using this method of swimming pool store organization, your customers can be exposed to all of the other swimming pool accessories that they may need, before finding the ones that they came in for. Along the perimeter walls of Swimming Pool Stores, many stores use slatwall panels to display a variety of swimming pool and spa equipment accessories including pool skimmers, pool vacuum hoses, pool tile displays, and many other products. Slatwall panels provide a similar benefit to peg backing displays, but in a much more visually appealing manner. You can still display oddly shaped items or shelves, but you also can use it to brand your store while maximizing the retail space in your swimming pool store. At Discount Shelving & Displays, we have been helping Swimming Pool Stores with affordable, high quality store fixtures including metal gondola shelving, retail displays, store supplies, and many other store fixtures since 1995. Counter top showcases are ideal for retail stores that need a way to securely display small merchandise such as collectibles, jewelry, watches, fashion accessories, or any other fragile or expensive products. Retail Stores such as gift shops, jewelry stores, clothing stores and boutiques, bridal shops museum stores, antique shops, collectibles stores, hobby shops, and even bakeries can use counter top showcases to take advantage of available store counter top space and create effective merchandise displays. Counter top showcases are great for calling attention to merchandise such as sale and seasonal items as well as products or stock that you want to move. By featuring items at store counter level in a counter top showcase, you increase the likelihood of getting more attention than when shown within a larger showcase. Our Counter Top Small Glass Case and Counter Top Large Glass Case can be used to display a variety of products including collectibles, jewelry, small liquor bottles and etc. 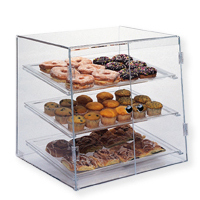 The Counter Top Large Glass Case can also be used as a bakery display case. The Counter Top Lighted Square Showcase square showcase display is made of tempered glass with black metal frame. It has a black laminate base. It comes with a plug in light and three adjustable glass shelves. In addition to our counter top glass showcases, we offer acrylic counter top displays Our Acrylic Accessory Display Case revolves and features 4 slanted shelves and includes a lock. 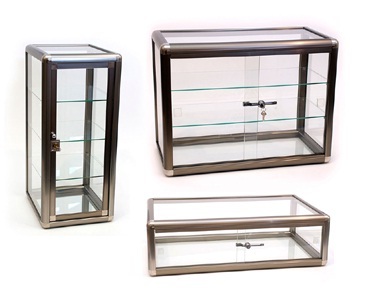 This countertop showcase is great for displaying jewelry and other small items. Our Line of Pastry Cases are perfect for bakeries, grocery stores, convenience stores, delis and etc. for displaying baked goods for sale on the counter top. If your retail store counter top space is limited, consider using a tiered acrylic compartment display. These acrylic counter top displays come in different styles and can be used to organize and display wallets, accessories, jewelry, and other small merchandise. Visit www.discountshelving.com or call 1-888-957-4353 for more information on Counter Top Showcases and other retail fixture and display solutions. 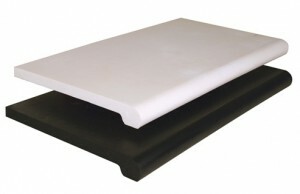 Plastic Bullnose Shelves are made of injection molded plastic. These store shelves are durable, lightweight and feature a rounded front edge, (also known as radial edge, radius edge or bullnose edge), creating a contemporary and clean looking store display. Bullnose display shelves come in different color options including black, white and simulated wood grains such as the Maple Bullnose Shelf sold at www.discountshelving.com. One of the best things about Plastic Bullnose Shelving is that the color is infused throughout the shelf so the color doesn’t fade. The plastic material also will not chip or fade. Plastic Bullnose Shelves are versatile, as they can be used with Gridwall, Slatwall and Slotted Standard displays. 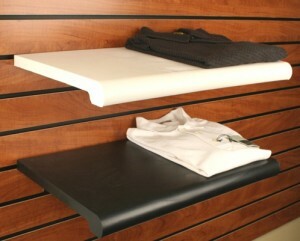 These plastic bullnose shelves typically come in 13” deep or 15” deep options in 24” or 48” lengths. Use shelf knife brackets, sold separately, made to fit your Gridwall, Slatwall and Slotted Standard displays. Use 12” knife brackets for 13” deep Plastic Bullnose Shelves. For 15” deep shelves use 14” shelf knife brackets. The number of brackets you need depends on the length of shelf. Use two shelf brackets per 24” long shelf. We recommend using a total of three shelf brackets per 48” long shelf for extra support. Each Bullnose Shelf features an open bottom design so that the shelf bracket is hidden from view giving your Plastic Bullnose Shelves a floating appearance. Each Plastic Bullnose Shelf will hold up to 40 pounds per four feet of small to medium sized merchandise such as clothing, packaged products, small electronics, stationery, books, giftware, toys, cigars and etc. Set up is fast and easy. Any store employee can quickly set up these lightweight shelves. No tools, glues or heavy lifting required! Plastic Bullnose Shelves are also popular shelving display options if you are exhibiting at trade shows or selling at street fairs. Changing up your Plastic Bullnose Shelving displays for new merchandise, or just freshening up your look is simple – just rearrange your Plastic Bullnose Shelves as needed! When you want beautiful form and reliable function consider using Plastic Bullnose Shelving to create the perfect retail display for your store. Visit www.discountshelving.com or call 1-888-957-4353 for more information on Plastic Bullnose Shelving , and other retail fixture and display solutions. For more useful retail fixture display tips & savings follow us on Twitter and Facebook. One of the most useful product display hooks for slatwall is the slatwall scanner hook, also known as a flip scanner hook. This uniquely designed scanner display hook fits on slatwall or slat board and features an attachable clear plastic plate in which product and price labels, UPC Bar Code labels, QR Code Labels, etc. can be placed. Scanner hooks are ideal for use with POS (Point of Sale) Systems. Slatwall scanner hooks offer simple ways to display merchandise simultaneously while helping in product identification for both customers and inventory control purposes. Slatwall scanner hooks are popular among supermarkets and grocery stores, pharmacies and drug stores, convenience stores, dollar stores, party stores, beauty supply stores, variety stores, pet stores, health food stores, liquor stores, gift shops, automotive and are also used in warehouses. Slatwall scanner hooks (flip scanner hooks) are made of metal and come in different finishes such as zinc, black and white epoxy. Scanner hooks for slatwall are available in different lengths including: 4-inches, 6-inches, 8-inches, 10-inches and 12-inches. The metal hook itself is 3/16-inch diameter wide. The clear plastic label holder for the scanner hook measures 1 ¼ -inch high by 2-inch wide. The label holder can be flipped up for easy access to merchandise and for product stocking. When buying slatwall scanner hooks, choose the right length size to suit the number of products you wish to display. Also consider your display area when deciding on placement of your slatwall scanner hooks. For example, it’s a good idea to use shorter length scanner hooks if your aisle space is tight between your slatwall and other floor displays. As the retail industry continues to adopt digital inventory and POS systems, slatwall scanner hooks in particular will continue to be a must-have store display accessory. 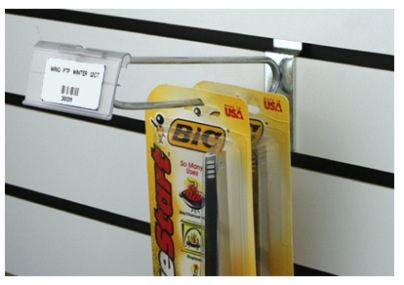 Visit www.discountshelving.com or call 1-888-957-4353 for more information on Slatwall Scanner Hooks and other retail fixture and display solutions. Retailers know that Mother’s Day spurs one of the top spending sales events of the year. According to NRF’s 2011 Mother’s Day Consumer Intentions and Actions survey, the average person celebrating Mother’s Day this year is expected to spend $140.73 on gifts, up from $126.90 in 2010. Retailers interested in capturing a portion of the $16.3 billion total expected spending for Mother’s Day this year are working hard to showcase their unique merchandise to catch shopper’s attention. Many of our boutique and gift store customers in particular get real creative using glass showcases and glass cube displays. Alternatively, you can easily put together an effective display for Mother’s Day on the tightest of budgets. For example, one of our customers set up a colorful tabletop jewelry display using a red tablecloth and a mix of different sized jewelry displays in black. In addition to being bright and eye-catching, it’s extremely cost-effective and set up was a snap! How creative did you get with your Mother’s Day displays this year? We’d love to hear from you! Visit www.discountshelving.com for more product information on jewelry display solutions, glass showcases, and more. Spring is finally here! Retailers have been busy recently gearing up for the change of season. One of our customers sent us photos showing how she tricked out her gridwall for Spring Sales. It’s no surprise that gridwall panels continue to be a favorite choice for store owners especially those who want to maximize space. Plus, retailers can get really creative with merchandising by simply using the many accessories available for grid displays. Choose from wood shelves, tempered glass shelves, acrylic shelves and wire shelving, as well as gridwall baskets, specialty product holders and containers designed for grid panels. Add hang rails, face-outs and grid hooks to best present your products to customers. Finish grid displays off with grid sign holders and signs of varying styles to further attract your customers’ attention. If you have floor space, consider using standing grid displays. Add grid legs and bases with rolling casters to create a portable grid display. Grid displays are our top seller for use at trade shows or outdoor markets. For more information about Gridwall and Gridwall accessories visit: www.discountshelving.com. Retail Stores Go From Summer Sensational to Fall Fabulous! For retailers fall comes early. In fact, odds are that even before you’ve had the chance to break-in your flip flops, many stores already have their summer clearance sales in full swing and “new for fall” merchandise already on display. Getting ready for fall sales is serious business when you consider that Back to School shopping is the second biggest consumer spending event for retailers behind the winter holidays. In fact, combined K-12 and college consumer spending in fall 2010 will reach $55.12 billion, according to NRF’s 2010 Consumer Intentions and Actions Survey conducted by BIGresearch. This Back to School survey says that the average American family will spend $606.40 on clothes, shoes, supplies and electronics this year compared to $548.20 last year. Plan your new window display. One of the main ways to update your window display is to change your colors to evoke the change of seasons. Hot for fall is “sustainable” trends. According to color and textile design experts, “urban concrete and formal darks meets mid-tones and bright shades” will be “in” this autumn. So, think colors like: Flax, Dark Oak, Antique Pewter, Sandstone or Champagne, Venetian Red and Sable for your window and displays. For inspiration on color choices check out fall 2010/winter 2011 Textile/Fashion Color Trends here. If you have space, consider using mannequins to add visual appeal to your window and in-store displays. Mannequins come in a range of shapes, sizes, poses, etc. and can be positioned in different ways. Plus mannequins give you great styling options. Remember customers like to be able to visualize how merchandise, particularly clothing and accessories will look on them. Determine your focal point. Keep it simple. Placing too many items will create confusion. Pick and choose your key items and place them at eye level. This goes for your window display as well as your in-store displays. 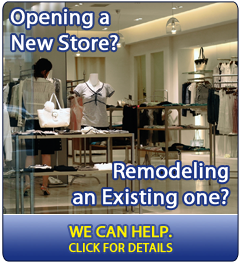 Review your store layout and plan your displays. Your goal is to make it easy for the customer to find what they are looking for and to make sense of your product arrangements. Keep your groupings logical by grouping similar products together, with complementary products nearby. Remember to view your displays from different angles as your customer would. Are your focal points still good from different angles? Is your retail signage clear and readable? Clean it up! You’ve worked hard to attract customers into your store, you’ll want to make sure you keep them there as long as possible and also wanting to come back for more. Nothing ruins a shopping experience more quickly than an unorganized and untidy store. Evaluate your store from head to toe. Dispose of litter, reposition displays that may have shifted to where they don’t belong. Check your shelves and make sure all your merchandise is dust-free and in its proper place. Re-stock inventory as needed. Are your signs, tags and labels legible and correct? Enter your store and take a fresh and critical look. Does it pass your white glove test? Remember that your customer will form an impression of your store within the first 10 seconds of entering. Price labelers, tagging guns – When ordering supplies for price labelers and tagging guns remember one size does not fit all. Check your brand and model number to get the right labels for your price guns and needles for your tagging guns. Retail sale signage, sign holders – Fresh signage helps call attention to your sales. Consider different sizes and colors. Look for places you can add signage in your store. In addition to stationary sign holders there are many versatile and portable sign holder options available today. Clothing Hangers and Size Dividers / Markers – When ordering hangers keep in mind the sizes you need. 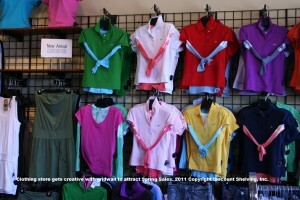 Hang children’s clothing on child sized hangers. Size dividers and markers help customers find the sizes they need quickly. Countertop Displays/Merchandisers – Your counters are prime selling space! Entice impulse purchases with countertop displays and merchandisers. Clothing Racks – If you sell clothing make sure you have the right displays. For clothing: use multi-tier or 4 way racks to pair tops with bottoms to show how coordinated outfits will look. Shelving & Hooks – Use shelving to create interesting new displays. Add new types of merchandise hooks for your slatwall, gridwall or pegboard displays to display more items in new and interesting ways. Shelving hooks are one of the most cost-effective supplies you can add to your visual merchandising tool kit. Acrylic Displays – Help your merchandise really shine through with acrylic displays. Not only are these displays durable they are versatile available in a range of sizes and shapes. There are specialty displays available to show off everything from shoes to school supplies. Display Tables – Entice shoppers to stop and look with display tables placed in strategic locations throughout your store. Create visually appealing displays on your tables that make them irresistible and convenient to shop. Shopping bags, tissue paper – Customers remember the finishing touches so make a good lasting impression through your shopping bags and tissue paper. Don’t get caught short of these essentials. It’s a good idea to order and keep a good supply on hand. 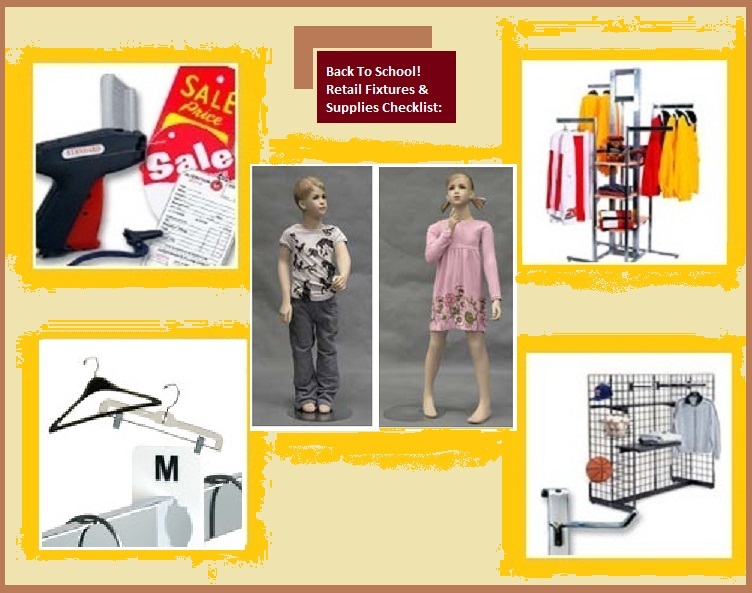 For the widest selection of retail store fixtures and supplies for Back to School visit www.discountshelving.com. © Copyright 2010 Discount Shelving & Displays, Inc. All Rights Reserved. Father’s Day is one of the biggest shopping events focused on men. According to NRF’s 2010 Father’s Day Consumer Intentions and Actions Survey, conducted by BIGresearch, the average person will spend $94.32 honoring Dads this year, up from $90.89 last year. Total Father’s Day spending is estimated to reach $9.8 billion. What do people think are on Dads’ wish lists this Father’s Day? According to the report, shiny new gadgets/toys will be one of the biggest hits this year, along with special outings, gift certificates and clothing. The survey found 39.9 % of those celebrating Dad this year will treat him to a special outing such as dinner or brunch, spending $1.9 billion. With 36.7 % planning on spending a total of $1.3 billion on clothes, Dad can expect a few more work shirts and ties to add to his collection as well. Others will shell out $1.2 billion on electronics, $749 million on greeting cards, $578 million on tools or appliances, $550 million on home improvement or gardening tools and $400 million on automotive accessories. Three out of 10 (31.2%) will give Dad a gift card, spending an estimated $1.2 billion on those purchases. When it comes to where people will buy their gifts, discount stores (34.4%) and department stores (34.1%) will see the most traffic. Specialty stores such as greeting card or gift stores (26.4%), online (20.5%) and specialty clothing stores (7.6%) will also be popular shopper destinations. Paper Shopping Bags in masculine colors like navy, chocolate, hunter green and black offer a great way for customers to take home purchases. Don’t forget to stock up on matching tissue paper! Tie & Belt Racks are available as hooks for your gridwall or slatwall as well as countertop and standing displays. Don’t forget belt hangers and neck tie riders. CD/DVD Displays show off your titles using countertop CD/DVD displays to spur impulse purchases or use free-standing or island displays if you have larger quantities to sell. 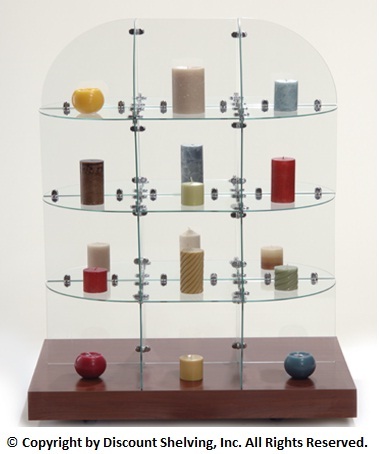 Eyewear Displays are ideal for showcasing a single pair or multiple pairs of eyewear. We have several spinning eyewear displays that can hold anywhere from 38 to 72 pairs of eyewear at a time. Grid Merchandisers Do you want to add a display quickly? 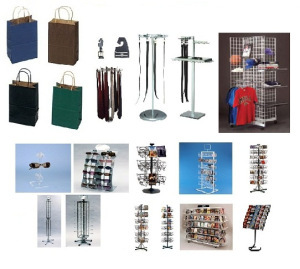 Grid Merchandisers are easy to assemble and fit perfectly in many areas of your store. You can even mount grids to your wall or fit merchandisers around columns or beams! Grids combined with any number of versatile hardware and accessories can be used to set up an effective display of complementary merchandise giving customers plenty of add-on buying opportunities. Retailers are always looking for fresh ways to merchandise their stores. Fortunately there are plenty of solutions available that to help attract potential customers. Among the most popular and inexpensive ways to create visual excitement outside of stores, especially during the summer, are banners, pennants and flags. Colorful pennant strands and banners are tried and true ways to increase retail foot traffic. Currently, red, white and blue nylon flags that sport words like Sale, Welcome and Open, patriotic U.S. flag pennants, as well as buntings that fan out, are selling from www.DiscountShelving.com at a fast clip. Customers launching or “re-launching” their stores are choosing our convenient Grand Opening Kit, which comes complete with a 36” x 36” plastic sign, 100 feet of pennant flags and two 36” fan buntings. Need more ideas? 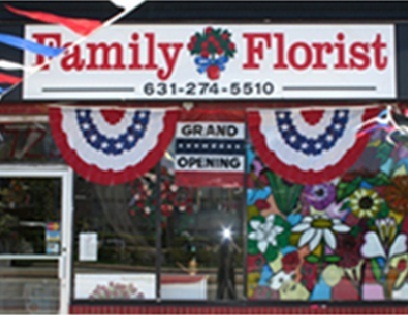 Check out our sidewalk signs, and other displays solutions at www.DiscountShelving.com.